Providing a list of professional references will leave a positive impact on your prospective employer, but you need to ensure that you follow the right reference format for this. Your name should be at the top of the page followed by the list of references, including name, job title, organization, and contact details. You need to insert a space line between each reference. It is important to add at least three professional references to convince your employer about your abilities and expertise. It is worth pointing out that whether or not you need to include a reference list usually depends on the company, the job, and the application requirements. It is a good idea to include a reference list only when the job application specifically requires it or the hiring manager requests one. If you really need one, it is important to follow the list of references format. It is important to understand that your reference list is not the same document as your resume, so you have to list references in a proper format. You can always stick to a standard reference format, but sometimes you can include both professional and personal reference in your list. Professional references can give feedback on your workplace attitude and work ethics, and these references include people you have worked with in the past. Personal references usually include non-immediate family and close friends who can comment on your personal character. 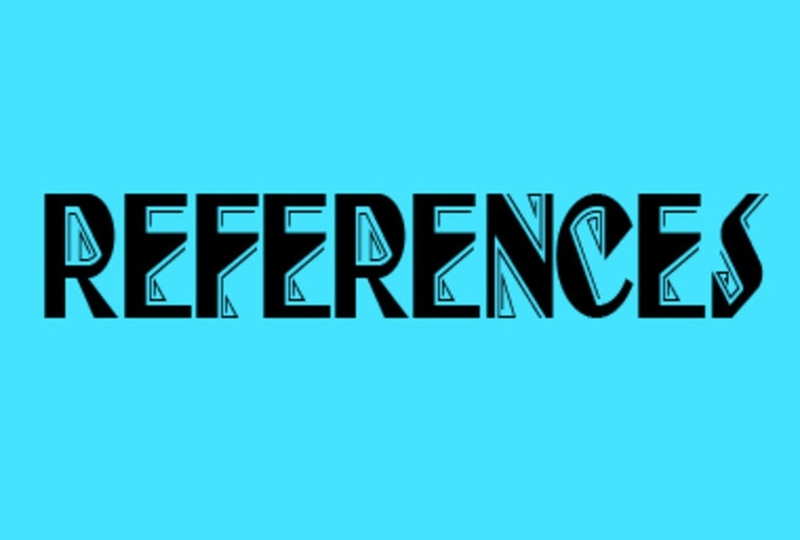 Both types of references are important for employers to make a decision. It is important to ensure that the list is no more than 2-3 pages. Also, use a font that they can scan and read with ease, such as Courier or Times Roman. It is suggested to update your reference list at least once every six weeks or earlier if you're actively hunting a job. You should contact your references and ensure you have correct information added to your reference list. Add at least three references and don't give more than six references. Always mention your strongest reference first. Always select your references carefully. Opt for those people whom you know on a professional level. Professional references may include former or current managers, employers, colleagues, co-workers, and deans. Choose personal references carefully. You may opt for classmates, ecclesiastical leaders, members of community organizations, etc. Ask permission from your potential references before using their names and contact details. Try to inform your references that you're applying for a job and they should expect a call. Always share a copy of resume with your references to ensure they know about your experience, qualifications, education, and more.